You are at:Home»Things to Do»Play»Playing Inside»The Fab SLab: Funky, Fun Chinese New Year Camps! The SLab is seriously fab! Their CNY workshops for kids ranging from 8 – 12, offer an eclectic mix of cool and inspiring courses in fashion, film, and photography. Students will be given the opportunity to learn about a plethora of industries and have a go at building on their knowledge through practical, creative, and fun activities. 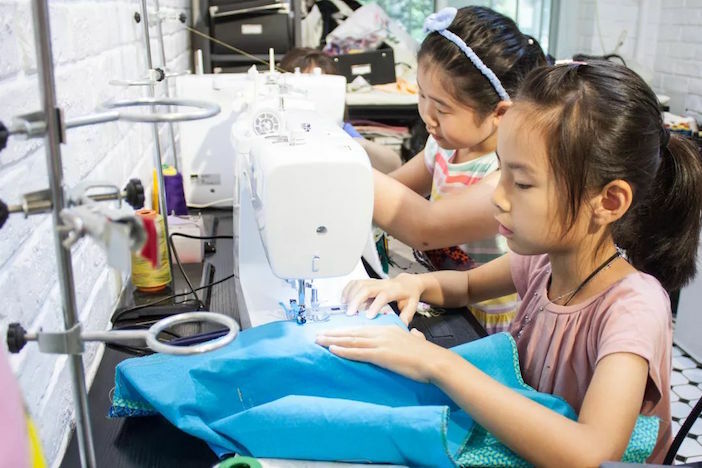 Their most popular course introduces students to the world of sewing: how to use a sewing machine, and independently tackle basic troubleshooting tasks. Kids at the end of the course will walk away with a drawstring bag, made by their own sweet hands! Students will learn how to pierce, saw, and finish metal pieces. 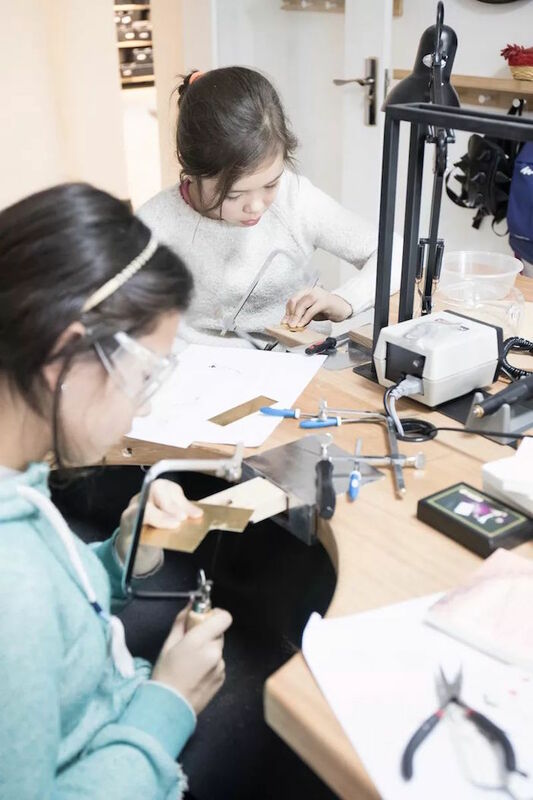 This is a unique experience for kids to work with brass or silver to create their own jewelry or accessories to welcome in Chinese New Year. Lights, camera, action! Using the tools available to low-budget filmmakers, this camp will take students on a 101 moviemaking expedition. Using everyday digital devices and professional cameras, students will produce their own short movies under the supervision of fully qualified instructors. I don’t know about you, but I wouldn’t mind joining this workshop without the kids! This workshop is all about the seemingly mysterious planet that is post-production! Using iMovie, students will learn the foundational skills and techniques of editing, to create coherent and visually imaginative movies from footage shot by the previous moviemaking camp. The SLab’s latest program has been developed for students to understand the ins-and-outs of photography. Students will learn about composition and how to use a camera correctly. Students will be encouraged to capture stories of the world that they see all around them. To find out more information and register WeChat: JenPohland. Sewing 101 RMB 1888. 10-3pm, Jan 28 – Feb 1, Feb 4 – Feb 22. Metalsmithing 101 RMB 1,888. 10-3pm. Jan 28 – Feb 1, Feb 11 – Feb 15. Movie-Making RMB 2,888. 10-3pm. Feb 4 -15. Editing in iMovie RMB 2,888. 10-3pm. Feb 18 – 22.